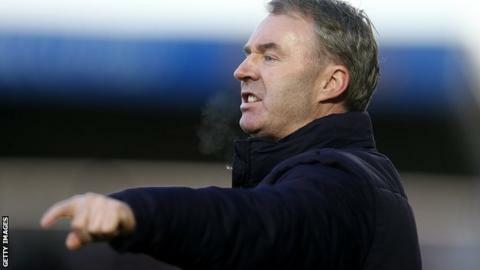 Plymouth "let everyone down" in their says boss John Sheridan. Argyle have failed to win any of their last seven games and are now four points off the play-offs, having been in the top seven from October to Boxing Day, when their poor run began. "It was a poor result and poor goals and we've let everyone down," he said. "We're down at the moment, people are frustrated. We need to start trying to win games as quickly as we can." Hartlepool's victory over the Pilgrims was just their second league win since 11 October. "To concede the goals in the manner that we did was shocking," Sheridan told BBC Radio Devon. "The second and third goals were atrocious. "I don't worry about getting stick, I probably deserve it at this moment in time. So I'll take it on the chin and just carry on and try and make sure we get back to winning ways. "We've got a strong group of players to win games in this division. We should be doing a lot better and it is very frustrating. "I don't mind being criticised, I accept it, because it's about winning football matches and at this moment in time we're not."